Do you want to learn more on Taurus and Leo compatibility? Then you have just come to the right place. Check it out. A couple formed by Taurus and Leo is not so common, even though compatibility could be achieved. But before checking the compatibility, learn a bit more about each of these signs. 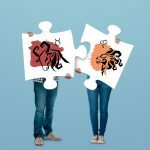 The compatibility between a couple formed by Taurus and Leo could be achieved when both partners are willing to work hard on their differences. Leo, from the element Fire, is extroverted, dramatic and his need to draw attention disturbs Taurus. Taurus, from the element Earth, is a very calm sign that likes to quiet life. Fire and Earth are actually a very steady combination, but they need enough common interests to sustain them. And it could even be a very creative couple. The Earth – Taurus, in this case – channels the dynamic nature of Fire. The fiery partner – Leo – may be a little too exhausting to the Earth one. There might be some tension though, as Fire is not a fan of a predictable routine and, on the contrary, the Earth doesn’t like too many changes. Taurus and Leo compatibility: how will the relationship work? Leo is sign with a natural brightness, which is given to him by his ruler, the Sun. Those born under this zodiac sign love to interact with people, they are very sociable and, besides that, they also need to be constantly recognized. Taurus is a sign that likes to interact with society and its friends, but in a different way. Those born under this sign love the comfort that life gives them. They enjoy the time with their friends, but unlike Leo, they don’t have the need to be the center of attention. If and when a person from this the zodiac sign stands out and is publicly recognized it will be for his work, but never to attract attention. Both signs share the love for the arts and culture. In order to make this relationship work, these two zodiac signs must strengthen and harness what they have in common and work on their differences. The ruler of Taurus is Venus, and for this reason he must constantly give and receive affection. Leo is affectionate and gives him great joy to be admired and loved by his companion and society. Taurus communication is authentic and is characterized by saying what it thinks clearly and directly. Leo expresses himself with a continuous drama when communicating, which sometimes can seem a bit exaggerated. As Taurus is too stubborn and Leo has a tremendous gift of command, there might be some issues here to deal with. Taurus is not willing to submit to Leo, and Leo will defend his point of view to anyone. The intimacy of the couple Taurus and Leo is filled with the exorbitant passion of Leo and the affection that Taurus gives to his partner in order to demonstrate his love.